Confirm a Kill are pest control experts with a team of specialists who work in Nottingham and the surrounding areas. As members of both Prompt and NPTA all our work is fully guaranteed to provide you with total peace of mind. We have over 25 years’ experience dealing with unwanted pests. Our discreet and professional service is used by both home owners and businesses across Nottinghamshire. All our pest control services, including bee removal, start with a free, no-obligation assessment. Once we understand the issue we will then provide a competitive quote which is covered by our price match promise. This guarantees you the lowest price for the work. If you should find a like for like service that is cheaper then we will happily match it. In the UK there are several hundred bee species that all have an important role in our ecosystem. If you are concerned about a bee nest or infestation in your property we can help to identify the species and advise on the best course of action. We work closely with an expert beekeeper who can help relocate certain bee species and recommends what should be done if the bees can’t be relocated. There are over 250 different species of Bee in the UK and they all have different characteristics and habitats. 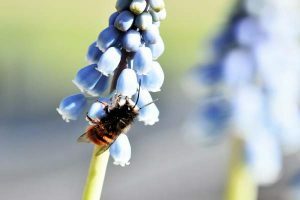 To help you start to understand the different type of bee you may encounter here is a list of the most common species. The most well-known bee, which as the name suggests, creates honey. These are social bees that live in large colonies. The majority of UK honeybees live in hives managed by beekeepers. Each hive can house up to 20,000 bees. You may see worker honeybees out in your garden collecting pollen, but they are unlikely to make a nest in your property. Honeybee swarms sometimes rest temporally on property roofs or fence posts but these normally move on in a couple of days. There are around 24 different species of bumblebee in the UK and each has slightly different colours and body shape. Bumblebees are social bees that live in smaller colonies than honeybees. The bumblebee has a reputation for being wonderful at pollinating and not being aggressive. 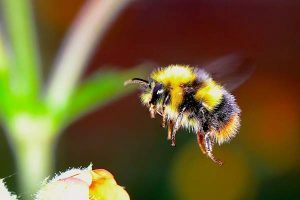 Most gardeners love having bumblebees living with them but if you are concerned about a large nest in your property then our experts can advise on the best way for it to be removed. Leafcutter and mason bees are a solitary species that like to nest on their own. The leafcutter bee nests on plants and the mason bee likes to nest in stone walls. Both these bees are harmless and do not sting. They are excellent pollinators of fruit and vegetables and are commonly used for commercial farming. These two species do look like the honeybee but do not produce honey. As these bees have small solitary nests and do not sting they rarely cause any problems with properties or gardens. If you are unsure about what to do with a bee nest you have found, please contact us. Carpenter Bees are a solitary species that like to burrow into wood to create their nests. The female bee makes the nest by excavating tunnels in soft wood. 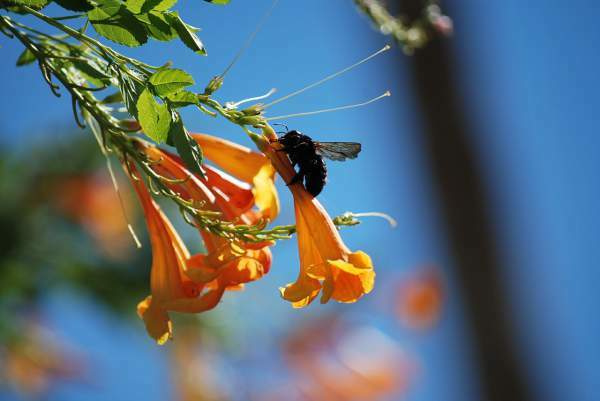 Male carpenter bees cannot sting but females will if they feel threatened or are provoked. 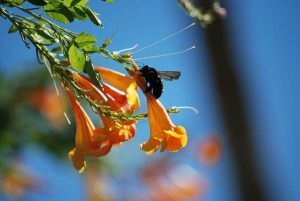 The male carpenter bee is more likely to fly at you aggressively. Whereas the female bee is a lot more docile like a bumblebee. Carpenter bees prefer to make their nests in soft or rotten wood. This can make people think that the bees have done the damage themselves. If you want to avoid having carpenter bees making nests in your wooden furniture its best to select hardwood and keep it maintained with stain or paint. Mining bees like to make their nests underground and different species select different areas to live in. For example, the ashy mining bee likes to burrow in sunny footpaths and short turf. When mining bees dig they leave behind little volcano mounds of soil. This is often the only sign you’ll see of them living in your garden. As solitary bees, this species will build a small nest and they will do their best to avoid you. Mining bees can sting and may do so if they feel like their nest of eggs is under threat. All bees form an important part of the UK pollination and ecosystem so if you can live alongside them this is the best way. 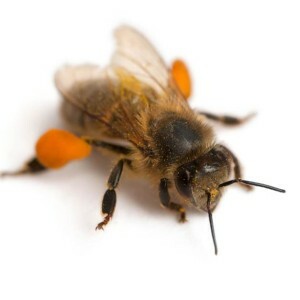 However, some people can be scared of bees or allergic to stings so please contact us if you need any help in trying to remove bees from your property. 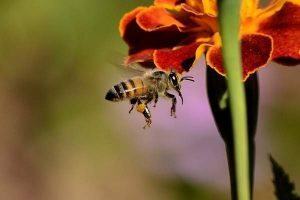 The active months for bees does vary between species but most of them will begin to appear at the start of spring when plants and flowers start to blossom. In warmer parts of the UK, some bumblebees can be found all year round. Solitary bees like mining bees are only normally active in spring and summer. You are unlikely to see any solitary bees after September. If you want to find out more about Bee species or take part in the Great British bee count see the friends of the earth website. Honeybees are unlikely to nest in residential or business properties but if they do the size of the colony can become a problem. As a honeybee colony grows the weight of the structure can cause damage to the walls, roofs or fences which have been used to build the nest against. Carpenter bees like to excavate soft or rotten wood so if they regularly nest in the same woodwork this can cause structural damage over time. Mason bees like to nest in mortar or stone and as a solitary bee their numbers are normally very small. However, if for some reason a larger family than normal of mason bees starts to build a nest this can cause damage to property. If you don’t want bees nesting in your property, the best deterrent is regular maintenance. Different species of bees have different nesting requirements. The ones most likely to cause you problems need space and gaps to burrow in and out of. For example, mason bees like to nest in mortar and stone. If you keep your property well pointed with all gaps filled bees are less likely to find a place to nest. Most bees are unlikely to damage your property and are very important to be cared for to help pollinate plants and flowers. Solitary bees rarely return to the same spot each year. However, larger bee colonies can cause problems if they nest in populated areas. Bee nests are generally best left alone. High levels of activity will only last for a few weeks and when left un-threatened they will do you no harm. If you have a bee infestation, nest or swarm issue you should always seek professional advice if you want the bees removed. Bees are likely to sting you when threatened so a very careful approach is required when trying to move them. At Confirm A Kill we have experts who can help recommend the best solution to a bee problem. We will make every effort to safely relocate a nest where possible. If you are concerned about a bee problem or suspect you have an issue then we are here to help. Please get in touch and we will be happy to carry out a free of charge inspection and advise on the best approach to take. If you think that you have a problem with bees then get in touch with us for a free, no obligation quote.